Yes, Easter approaches: this Sunday is Palm Sunday, and a week after that, Easter Sunday. Easter baskets are being filled, eggs are being painted, my friend Chris Ambidge is preparing to retreat to the safety of his secret Peeps-proof cave beneath the streets of Toronto. — MM: Isn’t that Godzilla? 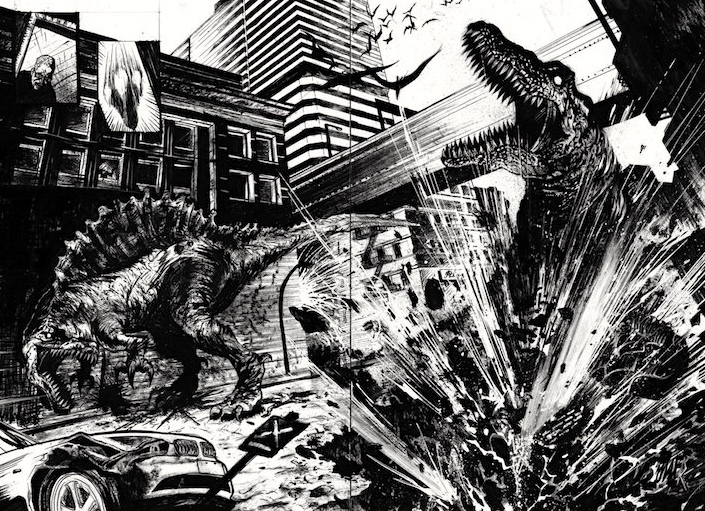 — CA: “dinopocalyptic” – now THERE’s a wonderful coinage. — AZ to CA: wonderful coinage, but an obvious one, and not my own. On the libfix front, first. 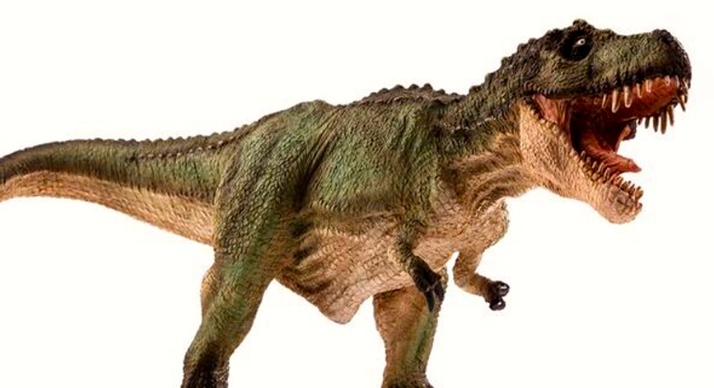 The disaster libfix -(po)calypse has been attested in dinopocalypse for some time. Two occurrences, one from real life, one from fantasy. As for Godzilla rather than dino as the first element in morphological combinations: the full compound Godzilla apocalypse is well attested, Godzillopocalypse isn’t attested at all (nor are Godzillocalypse or Godzillacalypse), but Godzillapocalypse gets some hits. Gojira has a small tail and substantial forelimbs, while T. rex has a huge tail and tiny forelimbs; Gojira lumbers about in an erect stance, while T. rex is usually represented as often taking a more horizontal stance; Gojira is heavily armored in ways that T. rex is not; and, of course, Gorjira is hugely, you might say monstrously, larger than T. rex. — 20 to 60 times as large (a lot of approximating and averaging is involved in these calculations). Within the context of the Japanese films, Godzilla’s exact origins vary, but it is generally depicted as an enormous, violent, prehistoric sea monster awakened and empowered by nuclear radiation. Although the specific details of Godzilla’s appearance have varied slightly over the years, the overall impression has remained consistent. Inspired by the fictional Rhedosaurus created by animator Ray Harryhausen for the film The Beast from 20,000 Fathoms, Godzilla’s iconic character design was conceived as that of an amphibious reptilian monster based around the loose concept of a dinosaur with an erect standing posture, scaly skin, an anthropomorphic torso with muscular arms, lobed bony plates along its back and tail, and a furrowed brow. Art director Akira Watanabe combined attributes of a Tyrannosaurus, an Iguanodon, a Stegosaurus and an alligator to form a sort of blended chimera, inspired by illustrations from an issue of Life magazine. To emphasise the monster’s relationship with the atomic bomb, its skin texture was inspired by the keloid scars seen on survivors in Hiroshima. The basic design has a reptilian visage, a robust build, an upright posture, a long tail and three rows of serrated plates along the back. In the original film, the plates were added for purely aesthetic purposes, in order to further differentiate Godzilla from any other living or extinct creature. Godzilla is sometimes depicted as green in comics, cartoons and movie posters, but the costumes used in the movies were usually painted charcoal grey with bone-white dorsal plates up until the film Godzilla 2000. The source of #1. Backtrack with me now to #1 and its source — as is usual, not identified or credited by anyone I’ve found. Google Images came nobly to my aid, however, quickly bringing me to the artist who created the scene in #1: Sherry (not otherwise identified) on her self-mocking Graceful Grandma site (“To know me is to wonder ‘What is the matter with this person?’. Also, I am not graceful at all, a bit bumbling really.”) on 3/22/16. 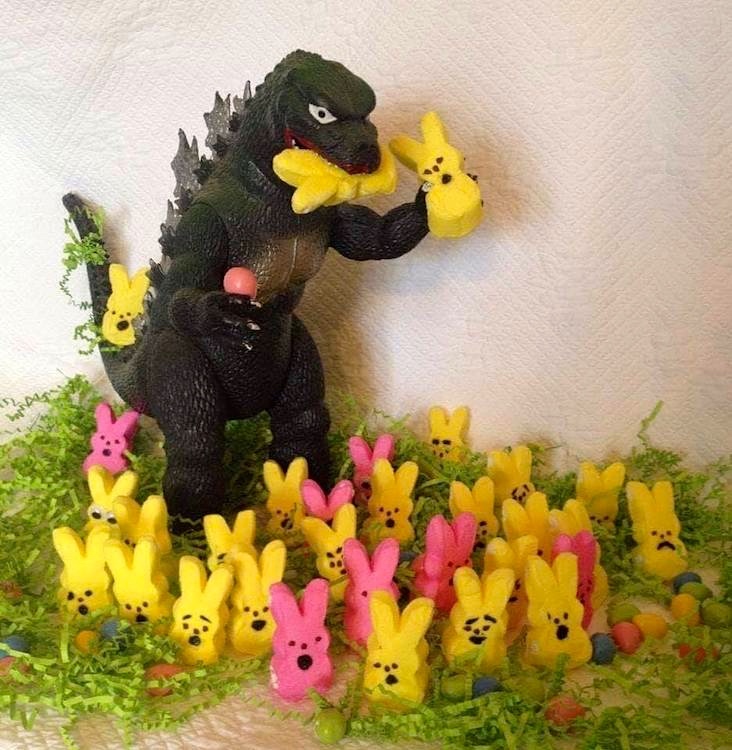 Godzilla says “Happy Easter”: 1 Godzilla Scares Up Some Easter Bunny Peeps. 2 Godzilla Chases the Easter Bunny Through the Easter Fields. 3 Godzilla Has Pushed the Easter Bunny Peeps Too Far and They Take Back Easter. 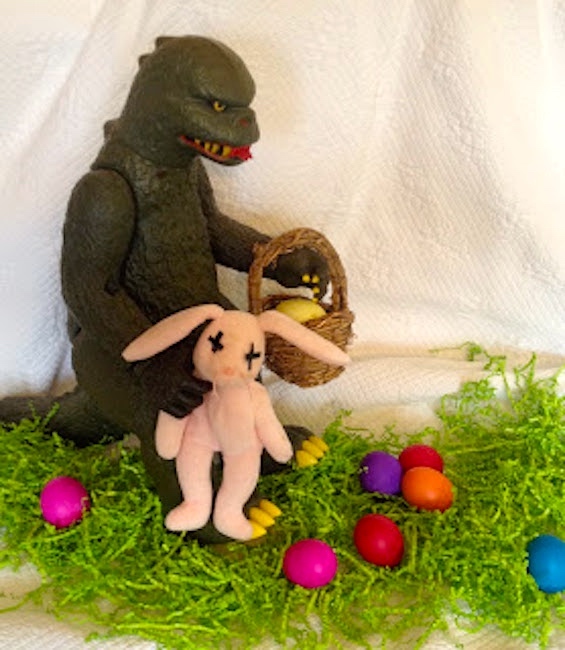 Godzilla and the Easter Bunny: 1 Vintage Godzilla Eliminates the EasterBunny. 2 Vintage Godzilla Stomps the Easter Bunny. 3 Vintage Godzilla Takes the Easter Bunny and the Easter Basket as Victory Swag. 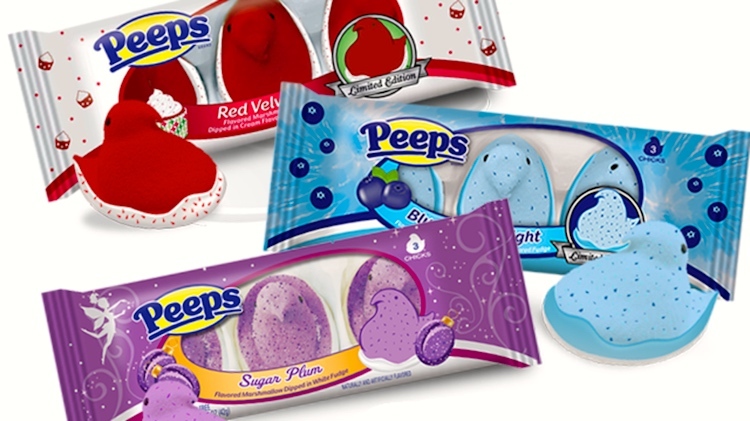 The original peeps colors were yellow, pink, and white; blue, lavender, and green came along quickly. The original shape was a chick (hence the name Peeps), in yellow of course. The bunny shape followed soon thereafter, and other shapes are occasionally featured in promotions. The original flavor was “marshmallow” (as in marshmallow chicks) for everything; eventually, there were other flavors: vanilla, strawberry, chocolate, etc., up to the fanciful creations above. First, Van Holten’s is a long-established pickle company. They make and sell standard pickles of many kinds, plus (for a long time now) Pickle-In-A-Pouch in a variety of flavors, and also one genuine piece of weirdness: Pickle-Ice, a pickle flavored freeze pop. 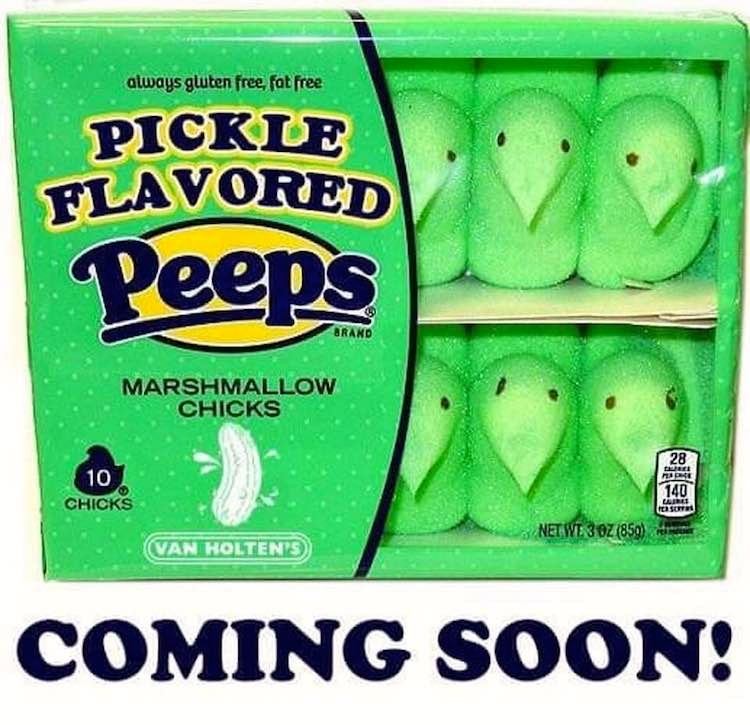 But so far, no pickle-flavored marshmallow chicks. The Just Born company makes some eccentric flavors of Peeps (see Sour Watermelon, Pancakes and Syrup above). But Just Born is the only firm making the marshmallow chicks called Peeps (note the ® in #6), and they don’t have a pickle flavor. And according to their own website, Van Holten’s doesn’t make marshmallow chicks (under any name). Now note the similarity between the puzzling #7 and the genuine #6. 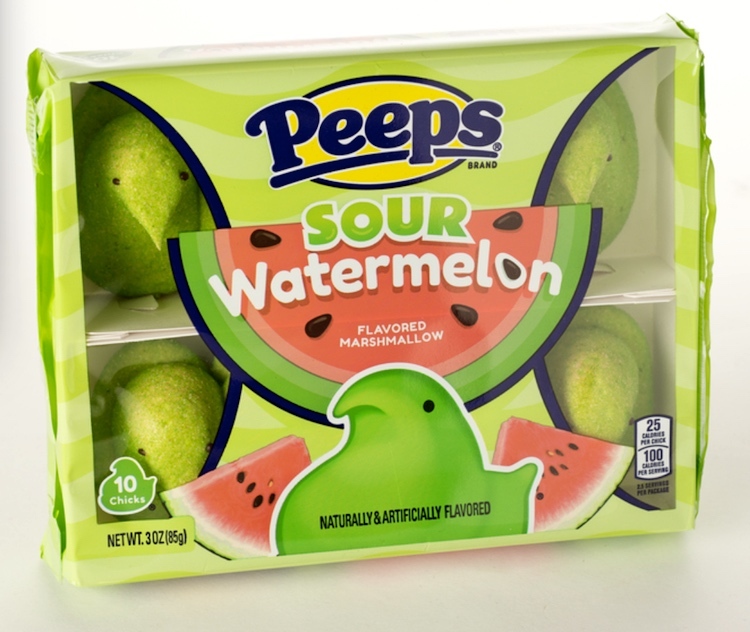 #7 is a joke, son: it’s a Sour Watermelon Peeps package — not the one in #5, but one of somewhat different design — with Sour Watermelon replaced by Pickle Flavored and with a chick figure replaced by the Van Holten’s Pickle logo. This is a dog license with the word ‘dog’ crossed out and ‘cat’ written in in crayon. In any case: happy pickled Godzillapocalyptic Easter, Chris! Enjoy its sour green crunchiness! This entry was posted on April 10, 2019 at 8:37 pm and is filed under Captions, Holidays, Language and food, Libfixes, Movies and tv, Names. You can follow any responses to this entry through the RSS 2.0 feed. You can leave a response, or trackback from your own site.